David Molton focuses his practice in complex financial, commercial and mass tort litigation matters in federal, state and bankruptcy courts in the United States, and he represents foreign liquidators, official committees of creditors, unofficial ad hoc committees of creditors and interested parties in financial fraud and mass tort related litigations and bankruptcies in the United States and in foreign jurisdictions. In the 2015 edition of Benchmark Litigation, David is commended as "a true trial lawyer" and "a strategic thinker who plays the long game and doesn’t get bogged down in the short-game issues." David is a Fellow of INSOL International, a world-wide federation of national associations for lawyers, accountants and other professionals who specialize in financial fraud, asset tracing and recovery and insolvency in domestic and cross-border cases. 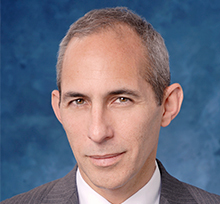 After graduating from New York University School of Law, David clerked for the Honorable J. Edward Lumbard of the United States Court of Appeals for the Second Circuit. Earlier in his career, David served as an Assistant District Attorney in and for the Office of the District Attorney for New York County, where he was assigned to the Special Narcotics Prosecutor for the City of New York under the Honorable Sterling Johnson, Jr. As a prosecutor, David supervised joint federal/state law enforcement task force teams and investigations for the Department of Justice’s New York Drug Enforcement Task Force and Organized Crime Drug Enforcement Task Force, and he prosecuted cases involving (i) racketeering enterprises and organized crime narcotics conspiracies and distribution networks, and (ii) efforts to locate, seize and effectuate the forfeiture of proceeds and assets connected to those criminal activities both in the United States and abroad. Representing Professor Eric D. Green in his capacity as court-appointed Special Master of the $975 million restitution fund established pursuant to a February 2017 criminal plea agreement between the Department of Justice and Takata Corporation to resolve felony charges brought by the government against Takata in connection with Takata’s design, manufacture and sale to the public of defective Takata airbag inflators (the “DOJ Takata Restitution Fund”). The Rule 11 Plea Agreement and the related Restitution Order and Order Appointing Eric D. Green as Special Master mandate the Special Master to oversee, with his attorneys and professionals, the distribution of the DOJ Takata Restitution Fund to designated claimants, including individuals injured by the malfunction of a Takata airbag inflator. As lead counsel to the Special Master, David has been integrally involved in, inter alia, (i) developing the Special Master’s methodologies and procedures for distributing the DOJ Takata Restitution Fund to eligible claimants, and (ii) liaising and seeking to reach consensus with all stakeholders, including Plaintiffs’ counsel in the Takata Airbag MDL, the Official Committee of Tort Claimants, and Future Claims Representative appointed in Takata’s United States subsidiary’s bankruptcy proceedings in the United States, with respect to the Special Master’s distribution methodologies and procedures. Representing Professor Green in his capacity as the Trustee of the Takata Airbag Tort Compensation Trust Fund (the “Trust”), established pursuant to the Chapter 11 bankruptcy of TK Holdings Inc., Takata’s U.S. affiliate. The Trust, which holds approximately $140 million, was created in the bankruptcy to provide additional compensation to the individuals who suffered personal injury or wrongful death as a result of a Takata airbag inflator malfunction. The Trustee oversees the management of the Trust and distribution of these funds to personal injury and wrongful death victims. As lead counsel, David led the efforts to negotiate the Chapter 11 Plan and related bankruptcy and Trust documents. David has also been integrally involved in developing the procedures for distributing funds to Trust claimants, reconciling the procedures and distribution criteria for compensating claimants of the DOJ Takata Restitution Fund and the Trust, and working with numerous other parties, including automakers and personal injury plaintiffs, to reach a consensual process to distribute these funds to victims. David has also been named as the successor trustee of the Trust. Representing Professor Green in his capacity as OEM Claims Administrator, a role created pursuant to TK Holdings Inc.’s Chapter 11 Plan, to distribute funds to more than fifty automakers who have general unsecured claims in the bankruptcy. As lead counsel, David is negotiating the distribution procedures to these automakers, and drafting the documents to finalize such procedures. Representing Lead Counsel in the GM Ignition Switch Defect MDL Litigation (S.D.N.Y) as Plaintiffs’ Designated Counsel in the Bankruptcy Court (Bankr. S.D.N.Y.) opposing GM’s motion to enjoin plaintiffs’ economic injury claims based on the injunction contained in the bankruptcy Sale Order by which the assets of Old GM were transferred to New GM in the GM bankruptcy in 2009. As Plaintiff’s Designated Counsel, David and his colleagues helped obtain a seminal Second Circuit decision defeating New GM’s efforts to use the GM Sale Order injunction to shield New GM from liability for billions of dollars of economic loss and personal injury damages to plaintiffs. In re Motors Liquidation Co., 829 F.3d 135 (2d Cir. 2016), denied, 137 S. Ct. 1813 (2017). Representing the American Association for Justice and the New Jersey Association for Justice in submitting an Amici Curiae brief to the US Supreme Court in support of the Petition for a Writ of Certiorari, filed by Dean Erwin Chemerinsky of the University of California Irvine Law School, on behalf of injured diacetyl plaintiffs in connection with the Third Circuit’s decision in Diacetyl Plaintiffs v.Aaroma Holdings (In re Emoral), LLC, 740 F.3d 845 (3d Cir. 2014), where the Third Circuit held that the injured plaintiffs’ claims against a successor to the debtor were property of the estate which could be settled by the bankruptcy trustee. Representing the Japanese Bankruptcy Trustee of the failed (as a result of theft and fraud) Mt. Gox global Bitcoin exchange, which had been the world’s largest exchange for this digital currency, in connection with the company’s Chapter 15 case in the Bankruptcy Court in Texas and related litigation in the United States. David and his team obtained Chapter 15 recognition of the Japanese bankruptcy proceeding as a foreign main proceeding, thereby staying all US litigation against Mt. Gox for the benefit of its foreign insolvency proceeding. Acting as lead U.S. counsel to the BVI Liquidator of the Fairfield Funds (the largest feeder funds into the Madoff Ponzi scheme) in the Funds’ Chapter 15 case in Bankruptcy Court in New York and related litigation in the United States and elsewhere in the world. Among the achievements achieved by David and his team to date are (i) obtaining recognition from the Bankruptcy Court of the BVI liquidation proceedings as foreign main proceedings under Chapter 15 of the Bankruptcy Code and obtaining affirmance of that judgment in a seminal and first impression decision of the United States Court of Appeals for the Second Circuit (Morning Mist Holdings Ltd. v. Krys (In re Fairfield Sentry Ltd.), 714 F.3d 127 (2d Cir. 2013)), and (ii) obtaining another seminal and first impression Second Circuit decision making Bankruptcy Code Section 363 applicable to the foreign liquidator’s sale of the Funds’ claim against the Madoff SIPA estate, thereby giving the foreign liquidator an opportunity to seek to undo that deal for the benefit of the Funds’ creditors and stakeholders based on changed circumstances (Krys v. Farnum Place, LLC (In re Fairfield Sentry Ltd.), 768 F.3d 239 (2d Cir. 2014), liquidator’s position upheld on remand, 539 B.R. 658 (Bankr. S.D.N.Y. 2015) (SMB), aff’d, 690 Fed. Appx. 761 (2d Cir. ), denied, 138 S. Ct. 285 (2017)). David and his team are also prosecuting over 300 clawback actions commenced by the foreign liquidator and the Funds against certain of the Funds’ redeemers, many of which are the world’s largest foreign financial institutions. The clawback actions, which are presently pending in the Bankruptcy Court in New York, seek the return to the Funds of over $6 billion in overpaid redemptions stemming from the Madoff fraud. Representing the Official Committee of Unsecured Creditors (principally tort victims) in the New England Compounding Center Chapter 11 case in the Bankruptcy Court in Boston and the related MDL proceeding in the District Court in Boston, the objective of which was the resolution of injury and wrongful death cases resulting from the meningitis outbreak caused by the debtor and its operations in 2012. Despite the absence of any dispositive authority on the issue from the United States Court of Appeals for the First Circuit, David, his team and the Creditors’ Committee developed, obtained plaintiff support for and confirmed a bankruptcy plan that granted non-debtor releases to allegedly culpable non-debtors who consensually contributed significant monies to a victims’ fund, remarkably achieving (in what was widely perceived to be a no asset case) settlements exceeding $200 million for distribution through the bankruptcy plan to injured victims of the outbreak. Representing the External Administrator of Awal Bank, BSC (a Bahraini bank implicated in the Al Gosaibi Group/Saad Group global fraud) in the bank’s Chapter 15 case in Bankruptcy Court in New York and related litigation in the United States. Awal Bank was destroyed by a major fraud in the Mideast, and, in a matter of first impression, David and his team successfully used the Chapter 15 case to assert Bankruptcy Code statutory avoidance claims against a global bank to recover assets taken from the Awal Bank overseas and transferred into the United States. Recently, David successfully obtained Chapter 15 recognition in the Bankruptcy Court in New York for seven, separate Awal Bank subsidiaries in conjunction with the upcoming trial in the Grand Court of the Cayman Islands of the principal Al Gosaibi Group/Saad Group case. Representing the Cayman Island liquidator of the SPhinX Funds (destroyed by the Refco fraud) in the Funds’ Chapter 15 case and related litigation in the United States. David and his team prosecuted the Funds’ fraud-based claims against aiders and abettors of the Refco fraud (including globally recognized auditors, law firms and service providers) in the Refco MDL presided over by Judge Rakoff in the Southern District of New York. David was appointed by Judge Rakoff as Plaintiffs’ Liaison Counsel for the Refco MDL. Representing the Central Bank of Bahrain in connection with the Chapter 11 case of Arcapita Bank, BSC (a Bahraini financial institution) in Bankruptcy Court in New York. Representing (i) the Ad Hoc Committee of Tort Claimants in connection with the Muscletech CCAA proceeding in Canada (the foreign ephedra bankruptcy) and Muscletech’s Chapter 15 case and related litigation in the Southern District of New York (one of the first Chapter 15 cases), (ii) the Official Committees of Creditors (consisting principally of tort claimants) in the Chapter 11 cases of Twinlab, Metabolife and NVE (the domestic ephedra bankruptcies), and (iii) all of these Committees in the ephedra MDL in the Southern District of New York presided over by Judge Rakoff. In each of the ephedra bankruptcy cases, David helped create the architecture for global resolution of all tort claims and negotiated multi-million dollar global settlements for the benefit of the tort claimants. Representing dozens of clergy abuse victims in the Chapter 11 case of the Diocese of San Diego in Bankruptcy Court in California and participating in the negotiation of a significant global settlement with the Diocese and its insurers for the benefit of victims. Representing diacetyl tort claimants in the Chapter 11 case of Chemtura Corporation in Bankruptcy Court in New York. Author, “Bankruptcies in Mass Tort Cases” and annual supplements, Litigating Mass Tort Cases, Vol. 1, Chapter 12, 2006 to 2017 (P. Rheingold, ed.). Interviewee, "A Look Inside the $100 Million Tainted-Drug Settlement," National Law Journal, December 24, 2013 (interviewer, Sheri Qualters). Co-author, "2nd Cir. Raises a Drawbridge to Chapter 15," Law 360, December 2013. Co-author, "The Ephedra Bankruptcy Cases and the Twinlab Global Settlement Model," The Bankruptcy Strategist, January 2008. Panel Moderator, “Group next (or not): continuing challenges in the treatment of enterprise groups in insolvency,” INSOL Tenth World Congress, Sydney, Australia, March 2017. Panel Moderator, “Boots on the ground: A look at some significant offshore liquidations from the liquidators themselves,” INSOL British Virgin Islands One Day Seminar, Peter Island, British Virgin Islands, November 2016. Speaker, “Financial Frauds and Ponzi Schemes: Current Litigation Trends and Creative Mechanisms to Pursue Fraudsters,” C-5 5th Forum on Fraud, Asset Tracing and Recovery, Miami, Florida, October, 2016. Panelist, "Madoff 7 Years On -- What Lessons Can be Applied to Other Cases," C-5 Conference on Fraud, Asset Tracing and Recovery, Geneva, March 2016. Panelist, "Changing the Rules of the Game -- New and Evolving Tools in the Restructuring Toolbox," INSOL International Annual Regional Conference, INSOL Fellow Refresher Programme, Dubai, January 2016. Presenter, "A Multi-Jurisdictional Roundup of Critical Developments in Fraud Litigation," C-5 Conference on Fraud, Asset Tracing and Recovery, Miami, October 2015. Panelist, "Recent Developments in Knowing Assistance and Accessory Liability in Fraud Cases," C-5 Conference on Fraud, Asset Tracing and Recovery, Miami, September 2014. Presenter, "The Impact of the GM Bankruptcy," HarrisMartin's MDL Conference: General Motors Ignition Switch Recall Litigation Agenda, Chicago, May 2014. Panelist, "Chapter 15 Update with Judges and Practitioners," ABI Caribbean Insolvency Symposium, San Juan, February 2014. Panelist, "The Use and Recognition of Standalone Injunctions in Cross-Border Insolvencies to Freeze and Recover Assets," C-5 Conference on Fraud, Asset Tracing and Recovery, Miami, November 2013. Panelist, "Cross-Border Restructuring Proceedings: A Global Up-Date," Commercial List Users' Committee/OBA Insolvency Law Section/OAIRP Educational Program, Toronto, Canada, June 2013. Presenter, “Case Study: TCT Rubin v. Eurofinance SA,” C-5 Conference on Fraud, Asset Tracing and Recovery, Miami, October 2012. Panelist, “Stern v. Marshall: The Sky is Not Falling – A Reasoned Analysis of the Decision and Case Law to Date,” ABI Caribbean Insolvency Symposium, San Juan, February 2012. Presenter, “Madoff Case-Study: Developing US Remedies for Failed Offshore Funds to Assist in Asset Recovery,” C-5 Conference on Fraud, Asset Tracing and Recovery, Dubai, January 2012. Panelist, "Ephedra / PPA Bankruptcies and Insurance Coverage - Dexatrim and TL Bankruptcy Plans - The Wave of the Future," Mealey's Ephedra & PPA Litigation Conference, New Orleans, June 2005.